Detail Parts are composed of UNFINISHED/UNASSEMBLED Resin, Wood, Plastic, and/or White Metal parts-Assembly & Finish Required. 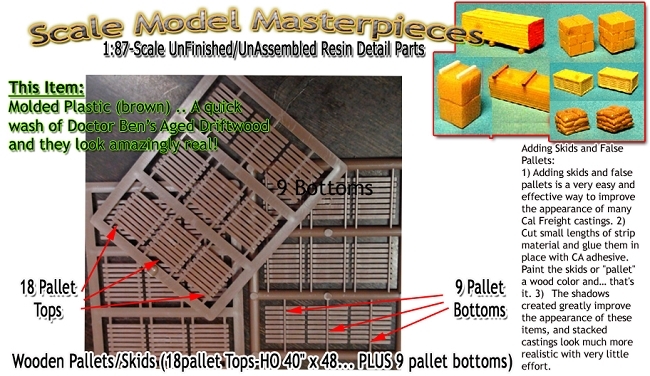 Assembly using most plastic cements and painting may be completed by hand or an air brush. Want to know how to weather your finished model? Scroll down to find out how! The above image and thumbnail at right best describes this item assembled (required) & its design. The above image/thumbnail best describes this item SIZE, QUANTITY, COLOR, if assembled (required) & its design. Got Questions? Always Ask first!